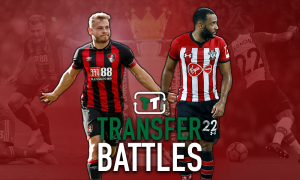 Newcastle wade into 3 way scrap for Pezzella | The Transfer Tavern | Where football transfer rumours fly or die! There has been plenty of transfer talk swirling around St James’ Park in recent weeks with the almost inevitable departure of star striker Demba Ba and the rumoured recruiting in the Newcastle midfield and attack. However Alan Pardew may be turning his attentions to the defensive side of the Magpies line up as he is eyeing up Argentinian centre-half German Pezzella to reinforce the back line. The 21-year-old River Plate defender has impressed in the Argentinian Primera Division this year and has attracted the interest of some other clubs around Europe, with Napoli and Roma also vying for his signature. 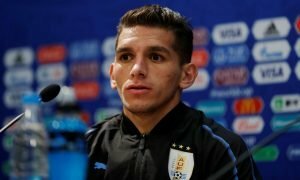 The Argentina Under-20 international could be captured for around £4.5million come January and it could be a promising addition to this improving Newcastle side and definitely one for the future. Pezzella could join a growing group of youngsters on Tyneside that is part of the 8 year plan that the manager and his backroom staff have signed up to. Young players such as Santon, Anita, Bigirimana, Vuckic and Sammy Ameobi could form the basis of a formidable Newcastle side in the future and Pardew will be hoping that Pezzella will become a key part of the Magpies team looking ahead. The young defender hasn’t played that much top flight football in Argentina but he looks to have terrific composure, good speed and makes defending look very easy. He seems to have a natural reading of the game which is perhaps the number one factor in becoming a top drawer defender and Pardew could be onto a real winner if he can come out on top in this transfer tussle. Maybe Newcastle’s captain, and Argentina’s answer to Bobby Moore, Fabricio Coloccini could prove crucial in persuading Pezzella to swap Buenos Aires for Tyneside as the centre back has become a fan favourite of the Toon Army in his 4 year spell. If Coloccini can convince Pezzella that the Premier League and Newcastle is the place to be then Pardew will be a very happy bunny indeed as his central defence will be strengthened significantly and he will have his hands on a really hot prospect. Italian clubs Napoli and Roma may still have something to say in the matter but if Pezzella is looking for a club with progression and a plan for success then Newcastle should be the obvious choice.